CareerBuilder helps employers all over the world find, hire and manage great talent. Leveraging its AI-powered talent acquisition platform and nearly 25 years of workforce insights, CareerBuilder specializes in recruiting solutions, HR professional services, and human capital management software. Textkernel, a CareerBuilder company, offers multilingual CV parsing and semantic search tools. Together, the two companies deliver next-generation technology for sourcing, matching, lead generation, labor market analysis and more to accelerate connections between employers and talent. Designed specifically for staffing and recruiting companies, CloudCall helps firms win the race to place candidates. CloudCall’s advanced telephony, seamlessly integrated into Bullhorn, helps recruiters fly through tasks; automatically launch, capture, and review their candidate voice and text conversations; and more. With CloudCall, managers gain visibility, speed onboarding, and easily share best practices. First Advantage provides comprehensive background screening, identity and information solutions that give employers and housing providers access to actionable information that results in faster, more accurate people decisions. With an advanced global technology platform and superior customer service delivered by experts who understand local markets, First Advantage helps customers around the world build fully scalable, configurable screening programs that meet their unique needs. Headquartered in Atlanta, Ga., First Advantage has offices throughout North America, Europe, Asia and the Middle East. More information about First Advantage can be accessed at www.fadv.com. Monster is a global online employment solution for people seeking jobs and the employers who need great people. For more than 20 years, Monster has expanded from a "job board" to a global provider of a full array of job seeking, career management, recruitment and talent management products and services. The 1218 Global Family of Companies provides answers to business challenges for professional services companies by driving excellence through Front and Middle Office technology solutions. Our experienced consultants provide leadership and guidance in CRM, ATS, candidate, workforce, process improvement and change management workflows. We provide a range of enterprise strategy, selection, implementation service and solutions, and are a trusted Bullhorn professional services partner. Checkr’s mission is to build a fairer future by improving understanding of the past. Our integration with Bullhorn makes it easy for thousands of customers to hire millions of people every year at the speed of the gig economy. Using Checkr’s advanced background check technology, companies of all sizes can better understand the dynamics of the changing workforce, bring transparency and fairness to their hiring, and ultimately build a better future for workers. cube19 is the Growth Analytics platform for recruitment companies. We help customers to scale efficiently, improve data quality and retain high-performing staff. Whether you want to grow your new business, repeat business, contract revenue or bottom line, cube19 will accelerate your growth whilst building a data-driven culture. DaXtra Technologies is a world leading specialist in high accuracy, multilingual resume, and job parsing, as well as semantic search, matching, and aggregation technologies. At the forefront of resume parsing and search & match technology, they provide clients with the competitive edge in sourcing the best available jobseekers, and engaging with them quickly. Dice is a leading tech career hub connecting employers with skilled technology professionals and providing tech professionals with career opportunities, data, insights and advice. We provide a comprehensive suite of recruiting solutions, empowering companies and recruiters to make informed hiring decisions. Ebsta helps recruitment companies to maximise the value of Bullhorn and Salesforce. We build tools that help recruiters work at hyper-speed by putting Bullhorn and Salesforce wherever they work. In doing so our clients benefit from users updating and referencing Bullhorn and Salesforce thousands of times more every single day. At EmployStream, we deliver an amazing hiring process for everyone involved. Our onboarding automation and candidate engagement platform provides ROI by removing the typical pain and costs of the employment experience with modern, beautiful, mobile-friendly software. We are built by staffing industry experts that want to simplify your work life, eliminate manual processes, and help you find, hire, and retain great people. Herefish automates and supercharges client and candidate engagement. By integrating directly with Bullhorn, Herefish ensures candidates and clients receive consistent and personalized communication on behalf of recruiters and salespeople. Communicate with more qualified candidates and prospective customers with Herefish. InsightSquared helps staffing operations professionals break the cycle of spreadsheets by equipping them with actionable, real-time reporting on virtually all sales and recruiting KPIs. Fast growing technology companies like Matrix Resources, Arrows Group, and Yoh rely on the company’s solutions to forecast more accurately, better manage their job order pipeline, tailor rep coaching based on individual performance and conduct data-backed planning and analysis. For more information, visit www.insightsquared.com/for-staffing. We are your Bullhorn experts. We believe in excellence and are passionate about solving our client's problems. Whether you are at the start of your Bullhorn journey or are an experienced Bullhorn business who are looking to further improve your business systems, we can help you. From one-off projects to ongoing process improvements, we will support you every step of the way. We are confident we can help you achieve your business goals. Shiftboard is a cloud-based scheduling and hourly workforce management solution for medium and large workforces. Founded in 2002 and headquartered in Seattle, WA., Shiftboard serves thousands of customers across multiple industries including healthcare, staffing, venue management, consumer services, and higher education. Through scheduling automation, Shiftboard improves workforce operations, lowers labor costs and increases employee productivity and engagement. SourceBreaker is an award-winning End to End Search platform that finds Recruiters more of the best candidates, then at the click of a button, matches them to multiple live vacancies, and helps identify the hiring manager, providing multiple opportunities to place every candidate found in seconds. 1Staff Back Office is specifically designed for the Staffing and Recruiting industry and is the only enterprise platform built into Microsoft Dynamics GP. By integrating with Bullhorn, you can leverage a complete end-to-end solution that helps minimize costs and maximize margins. 1Staff, by Professional Advantage, helps improve cash flow with features like Web & Mobile Time and Expense Collection, VMS Time Imports, Complete Invoice Flexibility and robust Gross Margin and Commission Reporting. TextUs is the only business-class text messaging software built specifically for staffing and recruiting teams and integrates directly with Bullhorn. With eight times the response rate of phone and email, TextUs is dramatically changing how staffing professionals communicate with their candidates and customers. See why over 200 staffing firms choose TextUs to recruit smarter and place candidates faster. ZipRecruiter is the fastest-growing online employment marketplace. Powered by industry-leading artificial intelligence matching technology, we connect job seekers with millions of businesses through innovative mobile, web, email services and partnerships with the best job boards on the web. Founded in 2010, Santa Monica-based ZipRecruiter has close to 1000 employees in two states and three countries. 8x8 is a leading provider of cloud phone, meeting, collaboration and contact center solutions. 8×8 integrates with Bullhorn to enhance client services and extend your competitive advantage. Speed up the screening of candidates using communication, video conferencing and collaboration tools. 8x8 provides solutions so you can communicate on any device, at any time. Asurint brings faster, more accurate background screens to your fingertips. Our technology platforms, industry-first IQLogics (™) decision engine and proprietary database combine to deliver more accurate screens in a fraction of the time. This gives our people more time to solve your toughest challenges. Are you ready to revolutionize your screening? Making informed decisions doesn’t just happen by chance. Background screening helps fill the gaps between the resume, the interview and the applicant’s actual history. 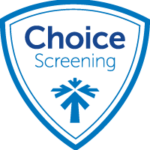 Between navigating FCRA regulation, uncovering the fastest way to reach reliable and complete records, and dedication to ongoing education and training, Choice Screening is able to exceed industry standards. DiscoverOrg is the leading global Sales and Marketing intelligence tool used by over 4,000 of the world’s fastest growing companies to accelerate growth. DiscoverOrg’s award-winning solution provides a constant stream of accurate and actionable company, contact, and buying intelligence that can be used to find, connect with, and sell to target buyers more effectively. ENGAGE TALENT is the world’s first AI-powered platform to combine Talent Mapping, Competitive Intelligence, Passive Candidate Sourcing, and Outbound Recruiting in one brilliant Candidate Identification and Engagement engine. JXT is a leading provider of SaaS-based digital marketing technology to the recruitment industry. JXT have developed a number of exclusive integrations with Bullhorn, allowing you to utilize the power of an integrated website and CRM to generate more candidates. show all or some of your jobs and accept applications that sync directly to your Bullhorn candidate database. It saves time, it's user-friendly, it's developer-friendly is SEO & Google Job Boards optimized, and its built for the reliable, easy-to-use and customize WordPress platform. Setup in as little as 10 minutes! No coding required! MyPayrollHR closes the loop in Bullhorn’s placement-to-pay solution. Placement data entered into Bullhorn is available in MyPayrollHR, synchronized in real-time, eliminating the need to rekey information or hand off paperwork to someone else. Without leaving Bullhorn, customers can access year-to-date payroll data (for any year), employment details, training history, and much more. Additionally, Bullhorn supports MyPayrollHR’s expanded security layers, such as setting read-only access by user. Phenom People, the leader in Talent Relationship Marketing, helps companies attract talent through personalized digital experience. The Phenom People Talent Relationship Marketing platform automates the complex process of driving awareness, interest, engagement, and acquisition for qualified talent. Recruitics is a job advertising analytics and automation platform. We make it easy to distribute job ads, track job ad performance, and use data to optimize ad buying decisions. Whether trying to drive more business for your firm or source qualified candidates for your clients, today’s top recruiting and staffing agencies are turning to Salesfusion to amplify their efforts. Salesfusion Recruit is the only marketing automation solution built with recruiting needs in mind. Sense’s talent engagement platform helps staffing companies bring a more human and personalized touch to their candidate and contractor experience thereby deepening connections and building loyalty for the long-term. Sense lets you build engagement workflows, sending the right message at the right time, so talent feels well cared for and keeps you top-of-mind. You get a 360 view of your business in real-time so you can take action fast. Identify at-risk candidates and contractors with low engagement and issues in a single glance. Sense is backed by Silicon Valley powerhouses Accel, Google, and Khosla Ventures. SkillSurvey’s cloud-based technologies help our customers make better hiring decisions faster. Experience a more efficient and effective recruiting process with our online reference checking and talent sourcing solutions. Discover new talent and assess your candidates’ soft skills with the only solution proven to reduce first-year turnover. Spark Hire, the #1 video interviewing platform with more than 4,000 customers, helps staffing and recruiting firms improve how they present candidates to clients leading to higher conversions, more placements, and increased revenue. All plans come with unlimited video interviews. No contracts or setup fees. Learn more on sparkhire.com. Sterling Talent Solutions, the world’s largest background screening provider, provides hiring peace of mind by delivering a simpler, smarter background screening and onboarding experience for organizations worldwide. Our comprehensive suite of cloud-based background screening and onboarding solutions deliver accurate, reliable results and tools to maintain compliance throughout the hiring cycle. Visit us at www.sterlingtalentsolutions.com. TextRecruit is a candidate and employee engagement platform that uses text message, live chat, and artificial intelligence to help you hire better people, faster. It's the first and only platform to centralize all talent communication, allowing recruiters and HR to manage relationships with their talent throughout the entire employee lifecycle. Volcanic is a leading global provider of recruitment technology. The Volcanic SaaS model provides an easy-to-buy, risk-free, GDPR-compliant web platform with 30-day contracts guaranteeing no tie-ins, no upfront investment, and a simple monthly fee.